Jeffrey Cole was born in New Jersey in 1962. He holds a bachelor of arts degree in journalism from Michigan State University (1985) and a master of arts degree in communication from the University of Central Florida (2001). 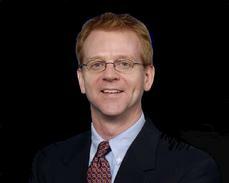 Jeffrey began his career as a journalist in 1985, winning awards for his writing and reporting while working for the Chronicle-Tribune (Marion, Indiana) and Florida Today (Melbourne, Florida) newspapers. He left journalism in 1990 to pursue a career in the public sector, first working in politics and transitioning in 1994 to his current work in communications with a Florida environmental agency. Returning Home is Jeffrey's first book. He and Audrey live in northeast Florida.